were pleased to see some familiar faces and to make new friends. Each year, hundreds of children and teens with diabetes from all over Indiana call Camp Until A Cure home for the month of June. While at camp, they swim, hike, do arts & crafts, take creek walks, play paintball, climb the ropes course, have campfires with songs and skits, do activities centered around diabetes management and skills, and much more! To date, Diabetes Will’s Way has funded 76 grants and awarded over $70,000 in their quest to help decrease the financial burden incurred by having a child with type 1 diabetes. As Diabetes Will’s Way has grown so has our ability to help more families afford both durable medical equipment and daily diabetic supplies necessary to lead a full and complication-free life. Diabetes Will’s Way will again join the Diabetes Youth Foundation on June 24th and hopes to reach even more families in need of financial help. For more information about the Diabetes Youth Foundation of Indiana’s summer camps for children with type 1 diabetes visit www.http://dyfofindiana.org/summer-camp/. 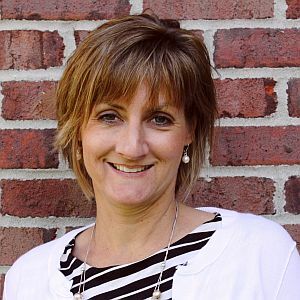 Lisa Oberndorfer has more than 20 years of fundraising and organizational management experience. As a play chair for the Pleasure Guild of Nationwide Children’s Hospital in Columbus, Ohio, she led a team of over 40 individuals to reach their goal of raising more than $225,000 for the pediatric oncology unit.